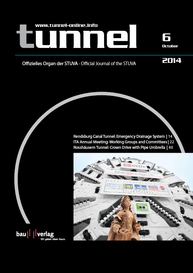 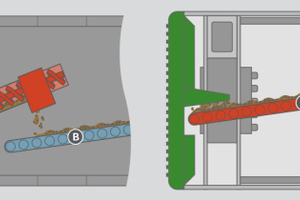 Scheduled construction stages of the Filder Tunnel: (1) TBM drive upper section Filder Tunnel, closed mode with screw conveyor discharge, pull-back of the TBM to the Filder portal; (2) TBM drive upper section Filder Tunnel, closed mode with screw conveyor discharge; (3) TBM drive lower section Filder Tunnel, open mode with belt conveyor discharge; (4) TBM drive lower section Filder Tunnel, open mode with belt conveyor discharge, disassembly in the tunnel. 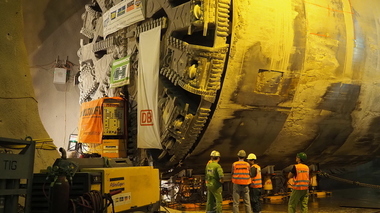 In July a new phase has begun in the construction of Stuttgart‘s underground railway station as political and business representatives celebrated commencement of construction of the Filder Tunnel. 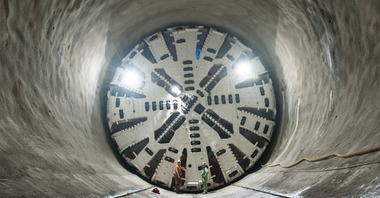 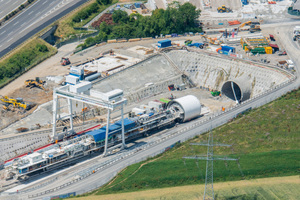 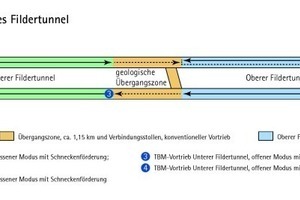 The construction contract for the Filder Tunnel and the connecting tunnel Ober-/ Untertürkheim was awarded to a joint venture led by the Porr Group. 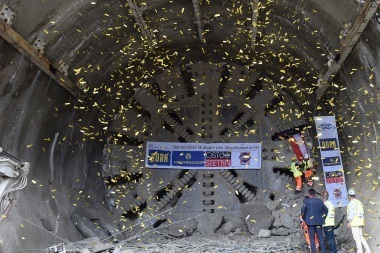 The contract has a volume of around 700 million euros.